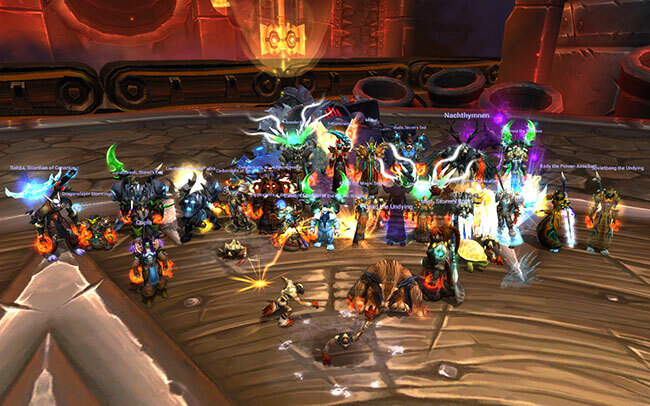 Our first kill as a 4-day guild. Things have been rocky lately due to a dying wow community and recruitment challenges but we're recovering. Stay tuned for Paragons and Garrosh! Last edited by rahba on Thu Dec 19, 2013 12:59 am, edited 2 times in total. Also confirmed, Rude is not in fact, Paul Walker. Grats on the kill fellas, now for the real fun! if you upload yours we'll post it! its twitch's fault, I was having no latency problems in game but twitch was dropping 25% of the frames. Was this one of the hard bosses? Grouch gets to coordinate stun cds next week, you all saw him volunteer. Gratz from an old citizen of Andorhal. Good to see you guys are still at it.